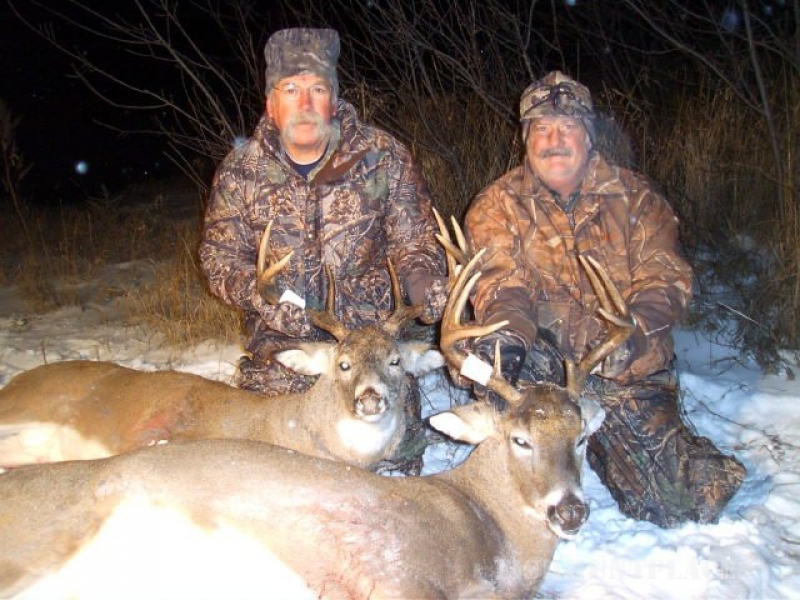 Dakota Whitetail Outfitting offers prime whitetail bow hunting in North Central North Dakota. This ranch land has a fantastic location with varying terrain of river bottom and heavily wooded ranch lands. Deer hunting here is incredible and has had very limited hunting for the last several years, for trophy management. Deer numbers are at an all time high and the chances for a Pope and Young buck are excellent. Hunter success is very high! Guide service will be provided by an experienced bow hunter. You can hunt from tree stands or ground blinds. Archery license purchased on arrival. Limited gun hunts available for each season, please ask for details. VERY LIMITED non-resident gun tags available to be purchased from guide at time of booking. Families are welcome. This is a beautiful area with much outdoor activity to offer such as hiking trails on the refuge, canoeing on the Mouse River and visiting Lake Metigoshe or the International Peace Gardens. Rugby is only 30 miles away and has a museum and some fun antique/gift shops, with it also being the geographical center of North America. Or visit the fun city of Bottineau tucked in the Turtle Mountains.